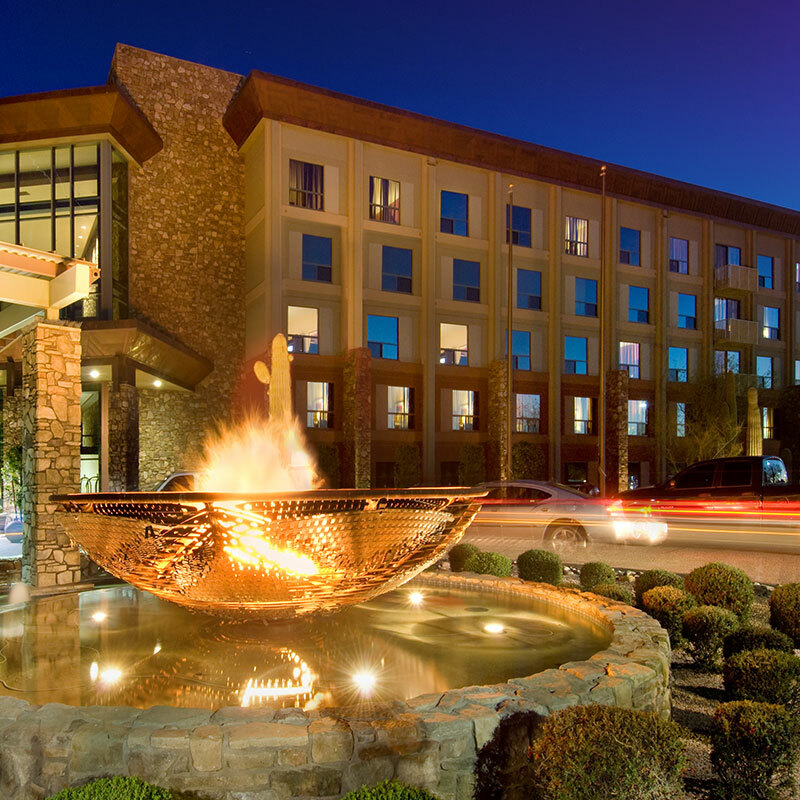 With an abundant amount of entertainment and dining options, Fort McDowell Casino has something for everyone. We offer 24-hour gaming with includes 881 slot machines, blackjack, video poker, a poker room and a bingo hall. We also have five different resturants that are sure to please anyone's taste buds. Our dining options range from a deli where customers can grab a snack to luxurious sit down resturants. The excitement at Fort McDowell also includes free and fabulous live entertainment as well as a variety of special events. With all of the entertainment we offer, we need exceptional employees who are willing to go above and beyond to exceed the expectations of out valued guests. 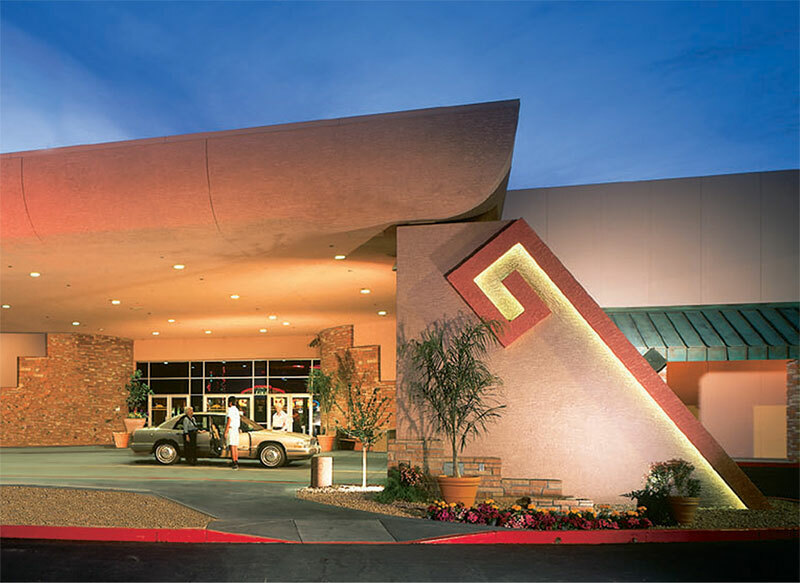 If you are looking for a fasr-paced career in a fun and exciting work environment then look no further than Fort McDowll Casino, Employees who work for Fort McDowell Casino have the ability to develop a long-term career. When you come to work here, you will typically stay here for a while because you will develop close-knit bonds with your co-workers and it will start to feel like you have a second family. 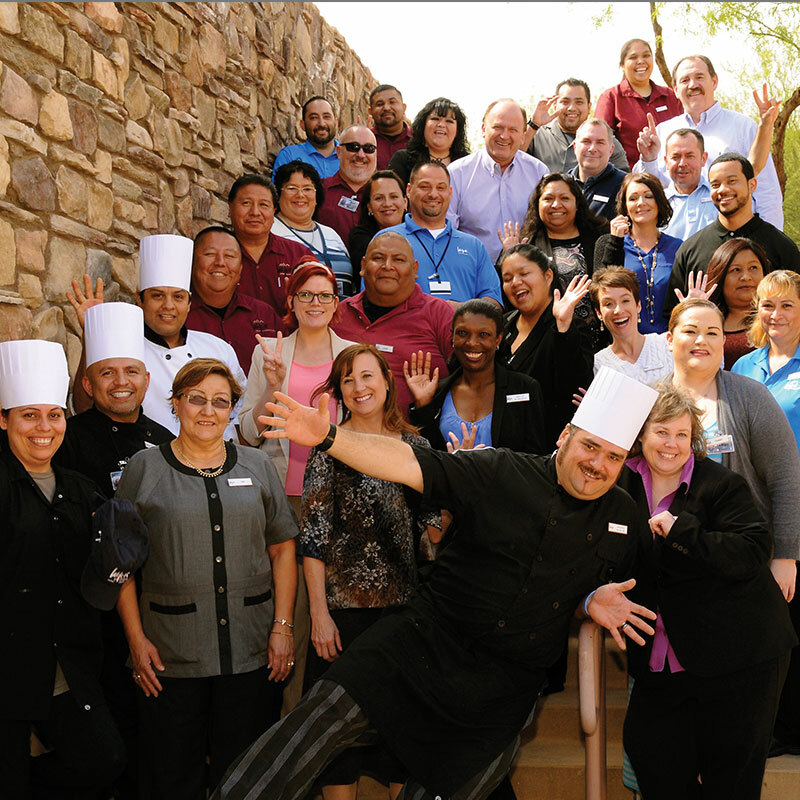 Employees at Fort McDowell Casino get to work in an exciting. non-stop action environment. All of that action can take a toll on them so that is why we offer an extensive benefits package which includes a generous sick and vacation time off policy to help employess relax and recuperate. ASSISTANT GOLF COURSE SUPERINTENDENT QUALIFICATIONS AND DUTIES: &nbsp; Assist in the daily scheduling of jobs, staff training, chemical/fertilizer applications and irrigation. Performs daily inspection of the golf course grounds Directs and supervises the maintenance of staff members ( appr...10424 N. Fort McDowell Rd. Ahnala Restaurant Host(ess)/ Cashier QUALIFICATIONS AND DUTIES: Provides exceptional guest service to both external and internal guests by maintaining and exhibiting the We-Ko-Pa Way Smile and Greet Name and Meet Thank you and Goodbye Makes initial guest contact and creates 100% guest satis...10424 N. Fort McDowell Rd. BEVERAGE SUPERVISOR QUALIFICATIONS AND DUTIES: &nbsp; Provides exceptional guest service to both external and internal guests by maintaining and exhibiting the We-Ko-Pa Way Smile and Greet Name and Meet Thank you and Goodbye Responsible for the front of the house beverage o...10424 N. Fort McDowell Rd. Bell Attendant JOB SUMMARY Assists guests checking in and checking out with luggage and provides other guest services, such as information about the Resort&rsquo;s amenities such as the Casino, Restaurants, Golf, the fitness center, etc. JOB DUTIES Directs the guest(s)...10424 N. Fort McDowell Rd. Cafe 87 Restaurant and Sushi Supervisor QUALIFICATIONS AND DUTIES: Assist the Caf&eacute; 87 and Sushi Manager with oversight of the day to day front of house restaurant operations. Responsibilities include overseeing service, the host stand, cashiers and guest satisfaction in both outlets. Wi...10424 N. Fort McDowell Rd. Cashier- Multiple Openings ( AM, PM and Graveyard shifts available) Come join our work family! We have a full-time and part time Cashier opening for various shifts! Must have a minimum of one year of cashier, service or restaurant host experience. Full health care coverage, dental, 401k and paid vacation benefits for ful...10424 N. Fort McDowell Rd. Cashier- Multiple Openings ( AM, PM, Graveyard)- Amazing Benefits! Come join our work family! We have a full-time and part time Cashier opening for various shifts! Must have a minimum of one year of cashier, service or restaurant host experience. Full health care coverage, dental, 401k and paid vacation benefits for ful...10424 N. Fort McDowell Rd. Cook ( Full Time- Multiple Openings) JOB SUMMARY: Performs cooking duties as assigned. Responsible for the cooking, production of entrees, vegetables, and specialty station foods. Must be able to maintain high quality food flavor. &nbsp;&nbsp;&nbsp;&nbsp;&nbsp;&nbsp;&nbsp;&nbsp;&nbsp;&nbsp;...10424 N. Fort McDowell Rd. Cook- 4 Diamond Resort- Full Time- Amazing Benefits! Come join our work family! This is a full-time Cook position for our 4 Diamond Resort 3-Meal Restaurant. Must have a minimum of 2 years experience as a cook.AMAZING BENEFITS, Health Insurance, Great Dental and Vision Plan, 410k Match, Paid Vacations, Hol...10424 N. Fort McDowell Rd. EQUIPMENT OPERATOR LEVEL II QUALIFICATIONS AND DUTIES: &nbsp; Operates heavy equipment and conducts preventive maintenance on equipment&rsquo;s in a production environment that demands a high degree of operating skill and does related work as required.&nbsp; Required to inspect, ma...10424 N. Fort McDowell Rd. Executive Sous Chef- Full Time- Amazing Benefits! Fort McDowell Enterprises - Fountain Hills, AZ QUALIFICATIONS AND DUTIES: Must maintain the We Ko Pa way service culture through positive leadership, communication and a commitment to excellence. Works collectively with the Fort McDowell Casino front and back of house teams on all events to provide e...10424 N. Fort McDowell Rd. FORTUNE CLUB SUPERVISOR QUALIFICATIONS AND DUTIES: Under the direction of the Fortune Club Manager, assists in the operations of the Fortune Club. Performs various assigned duties relating to promoting events, activities and special promotions. Assists in training and aids in e...10424 N. Fort McDowell Rd. Food & Beverage - Buffet Line Staff JOB SUMMARY: &nbsp; Primary job is to maintain buffet line to F&amp;B standards. &nbsp;&nbsp;&nbsp;&nbsp;&nbsp;&nbsp;&nbsp;&nbsp;&nbsp;&nbsp;&nbsp; EDUCATION AND/OR EXPERIENCE: &nbsp; 3 years related experience of which a minimum of 2 years is in a high ...10424 N. Fort McDowell Rd. Food & Beverage - Food Prep JOB SUMMARY: &nbsp; Primary job is to assist cooks through preparation of quality food. &nbsp;&nbsp;&nbsp;&nbsp;&nbsp;&nbsp;&nbsp;&nbsp;&nbsp;&nbsp;&nbsp; EDUCATION AND/OR EXPERIENCE: &nbsp; 3 years related experience of which a minimum of 2 years is in ...10424 N. Fort McDowell Rd. Fort McDowell Adventures - Sales Manager QUALIFICATIONS AND DUTIES: &nbsp; Responsible for selling and servicing of space and activities at Fort McDowell Adventures Responsible for driving group business to all FMA venues and achieving monthly and annual revenue goals. Provides exceptional gues...10424 N. Fort McDowell Rd. ©2017 Fort McDowell Casino. All Right Reserved.